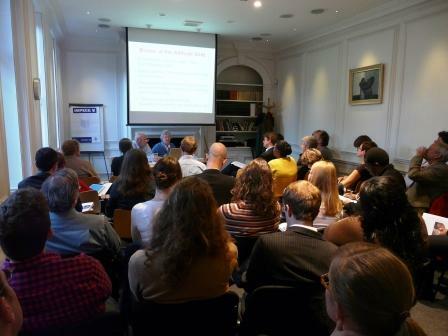 Ian Baker (SSE‘s Development Director) and I attended the launch of New Philanthropy Capital’s new report last week about funder reporting, entitled Turning the tables in England. It was Ian’s third report launch in 36 hours, setting some sort of unwanted sector record possibly, but was a fairly interesting (if not revelatory) event. The report, despite featuring some of the most banal photography imaginable (the black and white shot of some shelves on p.16 is a particular highlight), has some good stuff. The main finding is that the reporting costs for statutory (government) funding are 3 times higher than independent (trust and foundation / corporate etc) funding. Not a surprise to any seasoned sector-heads, but ‘ouch’ all the same. Their recommendations on the back of that are somewhat predictable: standard reporting where possible; funders understanding costs of reporting more (charities making this clearer more); charities should question funders’ requirements more; funders should be able to justify their requirements….and so forth. Of course, this all sounds great, but very difficult in practice. The examples given of consolidating reports were either a) different streams with one funder (Southwark Council) or b) various streams with exactly same type of funder (PCTs in London). But, for example, SSE gets funding from: local, regional and national government; corporates; housing association foundations; housing associations; trusts and foundations; individual philanthropists etc. etc. Standard reporting? Fat chance, I’m afraid. Particularly given the ‘projectization’ of our activity through this funding matrix. There’s certainly something to be said for pushing charities to report how much it costs them to report (if you see what I mean), and there’s something to be said for exploring how existing reports might be used for other funders. But there is also the possibility that the monitoring/reporting burden is simply shifted to the funder, in that they have to look at annual reports / returns / online materials to collate their own report. And, from a taxpayer point of view especially, does it matter if the 9% is wasted at the funder end or the funded end? It is, as Phil Hope put it at the launch event, about the ratio of cost:value, because reporting is extremely important for all funders, and rightly so, to prove the social impact of their investments. And to ensure that their funding is being used as in the original application / proposal. What I’ll take away from this is for us to think about the bare bones of a standard report which might prove the basis for other bespoke reports (and might, occasionally, prove enough on its own), and to ensure that we adequately cost our reporting. We’ve got better on this, but my gut feel is that we are probably still underestimating. Worth reflecting, finally, on another industry where a severe lack of regulation and monitoring has caused such a financial crisis. I’m referring to the collapse of Lehman Brothers, of course, and the other banks that have been bailed or are needing to be. Towards the end of last week, I was advising an SSE Fellow about a presentation he was giving to the Corporate Responsibility representative from…..you guessed it, Lehman Brothers. We shouldn’t underestimate the impact that the financial crisis may have on this sector: either directly in the case above, or through a reduction in philanthropy, or through a complete readjustment of corporate priorities. Will CSR still be the first thing to be cut in times of trouble? And, tongue partly in cheek, will charities have to do due diligence on which corporates they seek to work with? I think the Charity Commission might want to advise them on having sufficient reserves. 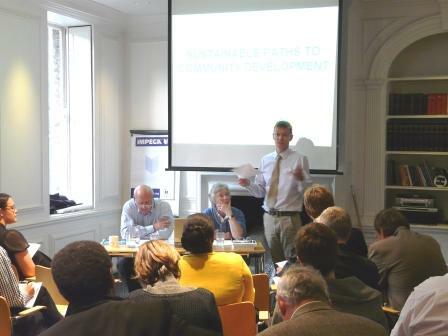 So we launched the monograph Sustainable Paths to Community Development yesterday here in the Michael Young room at SSE. It was a good turnout, considering that it was a rainy Tuesday evening, with a good mix of practitioners (including some SSE students and Fellows), sector chief execs, government departments, housing agencies, philanthropists, and research-y, think tank-y types. I was particularly pleased that Greg Clark MP, the Shadow Minister for the Third Sector, was able to make it and say a few words; he contributed a particularly lucid and thought-through foreword, which is not always the case when it comes to these things, so great that he could attend. CEO Alastair Wilson introduced co-authors Charlotte and Don Young, who then gave a presentation on the report, before Greg and Alastair wrapped up. All went well and hopefully it will give impetus to the recommendations in the report. Greg Clark said last night that this was a "groundbreaking piece of work" that "should be influential across the political spectrum". I do hope that’s the case, and that other organisations read and use the research to further their arguments, as this has implications above and beyond the work of SSE alone. To contribute my bit to the cause, there’s an article in today’s Guardian concerning some of the central issues in the report: A real community centre, and coverage in Social Enterprise Magazine. More coverage to follow. SSE is launching a new report today, called Sustainable Paths to Community Development: Helping Deprived Communities to Help Themselves. It’s been authored by our chair of trustees, Charlotte Young and her husband Don, and makes a passionate and timely case for a radically different approach to tackling exclusion and regenerating deprived areas. 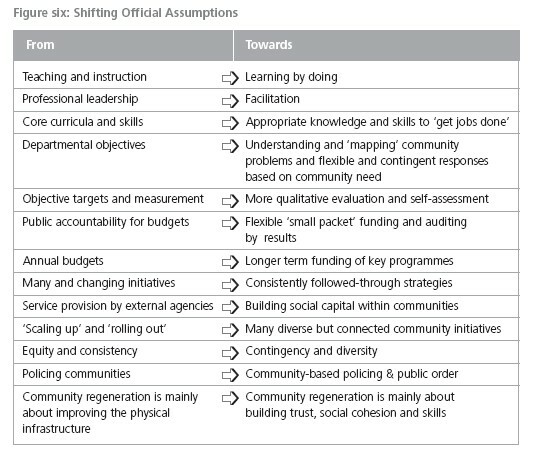 To boil down the report into some key points, it really argues that large, complex top-down governmental approaches to regeneration have not worked, and that providing learning and support to those creating change in communities from the bottom-up will have much more impact over the long-term. It also looks at why government (national and local) focus on getting people to engage in the democratic process, and with political institutions, rather than actually giving them power and ownership to drive their own change. 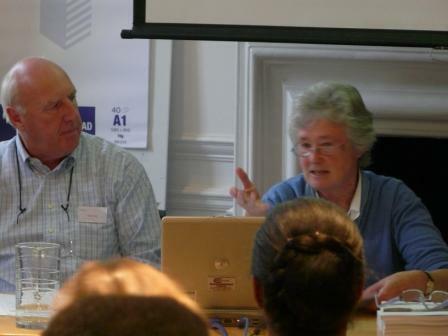 It also draws on national and international research to place the argument in a strong and coherent context. Consider this an addendum to the round-up last Friday, seeing as I forgot to include the major news story….partly because I didn’t think it was ‘public’ knowledge yet. But it is, so I can belatedly report that Penny Newman is taking over as the new boss of the Fifteen Foundation….Formerly a hugely successful CEO of Cafedirect, of course, Penny will be taking over from fellow Social Enterprise Ambassador Liam Black who left, having published a warts-and-all report of the various successes, difficulties and challenges Fifteen had faced in the past few years. Will be interesting to see what happens at Fifteen next, both in terms of its expansion plans (it is in Amsterdam, Melbourne and Cornwall as well as London) and its approach to training and support. Congrats and best wishes to Penny on the appointment. 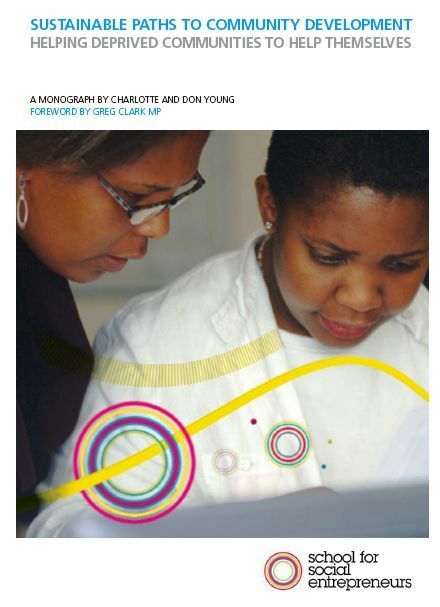 – Social enterprise can help those who are marginalised and under-represented in the workplace, according to a report by the Equalities Unit; yes, particularly if BAME / women (those under discussion here) are viewed as potential leaders, rather than beneficiaries, and if they are not treated as a special case, but given access and the personal support necessary to achieve their goals…. 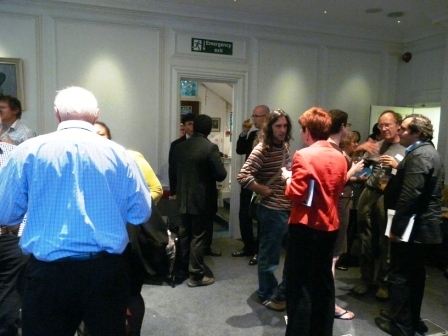 – I was reading this article about Labour having to return £15,000 that a charity had given them for lobbying purposes, and couldn’t remember why the organisation rang a bell; then I remembered that I’d seen them at an UnLtd replication seminar once; interesting that the debate has focused on this being a ‘new low’ for Labour, rather than a strange use of funds by a charity, who have responded by classing it an administrative error (i.e. they should have put the donation through their associated company). – And now we know that we’ve made it: in the newly revamped Cluedo board game, Jack Mustard is a football pundit (gah! ), Victor Plum is a self-made video game billionaire (ugh! ), Diane White is a former child star (pah!) and….drum roll, Eleanor Peacock is a "vain social entrepreneur". One step forward, two steps back…..
Hello everyone: a big welcome back from the SSE blog. We’ll start back in traditional fashion with a round-up of everything that’s been going on in the world of social entrepreneurship and enterprise in the past few weeks. – Can you smell a rat? No, but they can smell a landmine apparently. And now they can smell the money: £500,000 worth of it for this rodent-loving social entrepreneur. – Patrick Butler had an interesting piece in yesterday Society Guardian about Jamie Oliver / school dinners….but more generally about lone heroes bringing about social change (or not). Well worth a read, particularly for the complexities of measuring and attributing success and the need for catalysts. "Enterprise is not about business and entrepreneurship. It is not about premises, finances, business plans and swots. It is a process for human development. the kind of future that I could create. It is way of living – of becoming. Enterprise can be a catalyst, a framework, for the emergence of identity." – CICs are back in the news (stay awake at the back), with two CIC CEOs setting up a CIC association to provide support and representation to all those CICs out there. There’s a fairly equivocal statement from the Coalition in response, but given their recent call for more promotion of the structure, they must surely see this as a good thing. Certainly, the meagrely-resourced regulator does…. – This year’s FOOTSEY event in Yorkshire looks like being even bigger and better than last year’s, which I have to say I thoroughly enjoyed. I’ll be trying to get back up to God’s country for this one as well, so see you there…. – Good to see Social Enterprise Ambassador, SSE expert witness and all round good guy Craig Dearden-Phillips nominated in the most admired chief exec category in the Third Sector awards. 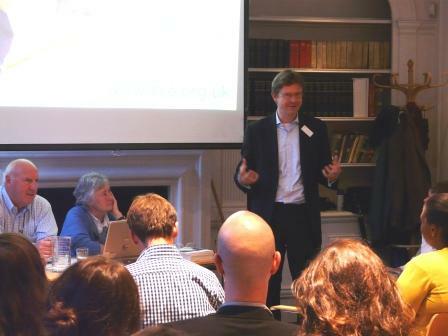 And to see him having an entertaining debate with the publisher of his own book…. – Also, much SSE news forthcoming: a new programme in the East Midlands starting in October; a new SSE in Cornwall starting formally soon; and a new publication to be launched next week. I know your breath is bated now; more soon. – Finally, the hot question of the week: are you a changer, a contributor, or a coaster?